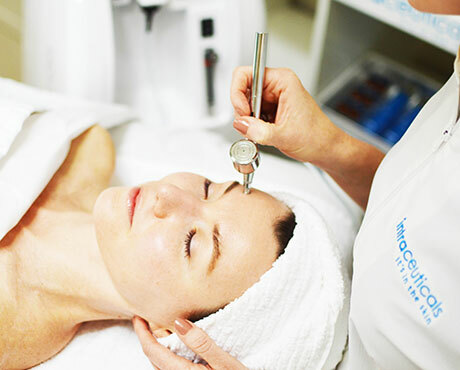 This treatment is customized for problem skin prone to either mild or severe congestion. Using the latest technology and products designed solely for use on acne prone skin. Natural skin regeneration with only pure natural plant ingredients which have been recognized worldwide and proven as a highly safe and successful method of non-medical procedure. Excellent for acne, scars, and hyperpigmentation. Free home product included. My most popular facial for maintaining clear, trouble-free skin. Cleansing, exfoliating peel, steam, extractions, aromatherapy massage of arms, hands, neck and shoulders. Finishing with a perfect masque for your skin type. With just one atoxelene treatment your expression lines will appear visibly softened. For maximum benefits repeat treatments are recommended weekly for the first six weeks. Expression lines appear smoother, firmer and visibly reduced, eye contour more defined and lips look plumped. Hyperbaric oxygen technology delivers therapeutic-grade oxygen, offering a calming environment for the skin. The rejuvenation serum stimulates regeneration of new cells and the production of elastin and collagen and plumps the skin’s surface to visibly reduce the appearance of fine lines and wrinkles. Excellent for post-laser recovery. Unique customized enzyme exfoliation that includes the ultimate cleansing process to help refine pores, lifts,and soften the skin. Intense tree bark enzyme masque rejuvenates and stimulates the epidermis layers as well as increases circulation in facial tissue. These treatments help to strengthen and tighten the skin. This treatment can help reduce the appearance of some of common skin problems, including brown spots, melasma, broken capillaries and sun spots. This minimally invasive procedure can also treat signs of aging such as wrinkles or age spots. To erase wrinkles around the lip area, frown lines and crows feet. Adminstered by Board Certified Plastic Surgeon.